head over here to join in the fun! So I'll be here all month! Happy Blogtoberfest, & frocktober too! Frocking up is something I've come to quite enjoy - but I really don't think I'd be able to manage it for a month, amongst other things I only have a few dresses! And good luck on your list - it looks inspiring! 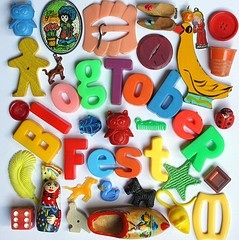 This is my first attempt at Blogtoberfest and am going through all the blogs one by one. Came to yours and just went "ohhh!" when I saw your profile photo. I used to go to that school - many, many years ago. Makes me a little homesick. show us your pin cushion!